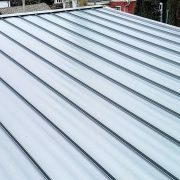 Weather is unpredictable and can cause significant damage to roofing. 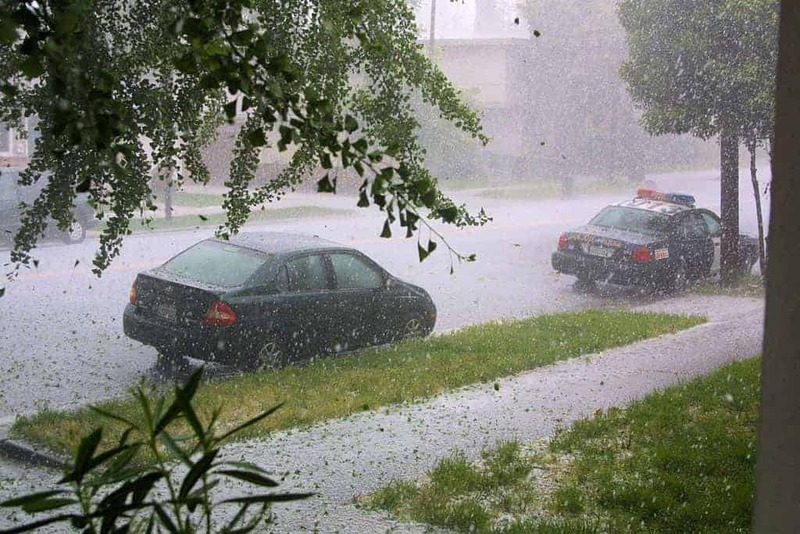 Turbulent weather like hailstones can ruin your shingles, so contractors need to explain to homeowners what damage can occur and what to look for. The reason is that most manufacturers’ warranty does not cover hail damage. Make sure you thoroughly review your warranty to see if you have coverage for these circumstances. Some of the most common questions asked regarding hail damage are below to help you understand the problem more clearly. The damaged caused by hail will be significant, but that does not necessarily mean you can see it. The damage can occur over time, causing premature aging of roof shingles. Since there is nothing visible to see, it will be hard to determine the extent of the damage done. By the time you notice the accident, which can be months or years later, it will already be too late. 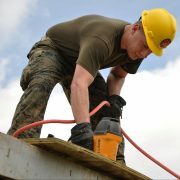 How can I tell if the roof was damaged? You can inspect the surface of the shingles for dents or fractures that hail can cause. Since hailstones come in different shapes, sizes and hardness, the damage is done will also vary so you may see distinct patterns of indentations on the surface. 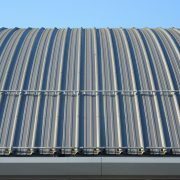 If you are not able to see dents on the shingle surfaces, then you can look on the metal flashings, siding or chimney caps. Look out for exposed asphalt, which can appear after time when granules will break off where the hailstones hit. Granule loss: this usually occurs at the point of contact and often leaves a depression on the surface. Either immediately or gradually, asphalt can be exposed as the granules are chipped away. Now being exposed to the atmosphere and elements, shingles will age quicker. The loss of granules is more than cosmetic and needs to be addressed as soon as it is noticed. Do not just add more granules with asphalt cement as a quick fix to the roof, because this will not solve the problem. 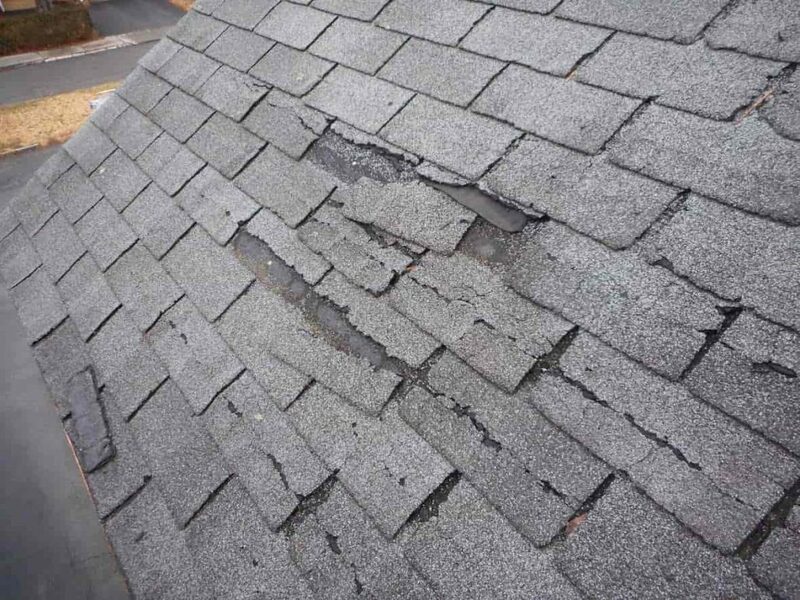 Cracks: the granule-asphalt surface of the shingles can get cracked in severe weather. Cracks can spread out from the contact points and are especially noticeable if high winds move the shingles. Fiberglass mat: This can become exposed when hail causes the granule-asphalt surface to tear away from the mat. The carpet can also become fractured by hailstone hits, and the tears can radiate away from the contact point. This damage may not always be visible right away and can develop into more significant cracks as the shingles age. Self-seal strip: It is not easy to notice this type of damage, but a weakened seal is essential to look for because decreased seal integrity can potentially result in shingles blowing off the roof. Can I replace shingles or do I need to replace the entire roof? Replacing individual shingles is possible. However, the damage that was done to nearby shingles may not be as easy to identify. Since adjacent shingles were hit by the same weather and hailstones, it is likely they are also damaged, so it is advised to replace the whole roof. Only replacing the obviously damaged shingles can leave others behind that also need repair, so the longevity of your roof is still compromised. However, if the damage is only to one plane of the roof, you can just have that section replaced. If you do choose to replace single shingles, be sure to return all nails that were removed and reseal the new shingles and surrounding ones by hand.